If you go to Havana you have to walk along the Malecon, it’s an 8 kilometre long esplanade from one end of the city to the other. It’s here where you will get a real taste of Havana, the Malecon is ideal for people watching, relaxing walks and beautiful sunsets. Old Havana is another place you must visit on your trip to Havana. It’s a World Heritage listed site and showcases the cities colonial architecture and has pretty courtyards and squares as well as historic sites. 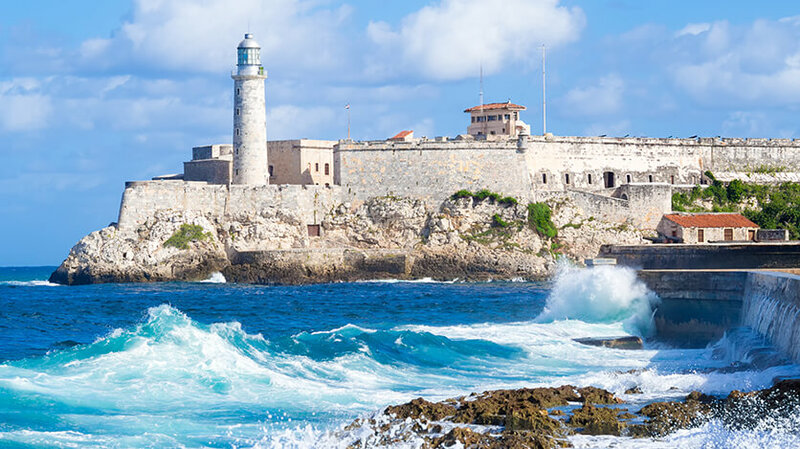 Another big tourist attraction and iconic site is Morro Castle in Havana Harbour. This 16th century castle has a 20 metre deep moat, a lighthouse, dungeons and an underwater archaeology exhibition. Gran Teatro del La Habana is a theatre venue and conference hall that is home to the Cuban National Ballet. It’s a good place to catch some amazing cultural performances. One of the best places to soak up the atmosphere in Havana is at Plaza de Armas, the city's main square. If it’s beaches you are after you can take advantage of the main beaches which are about 20 minutes from the centre.